Master of the mountains. 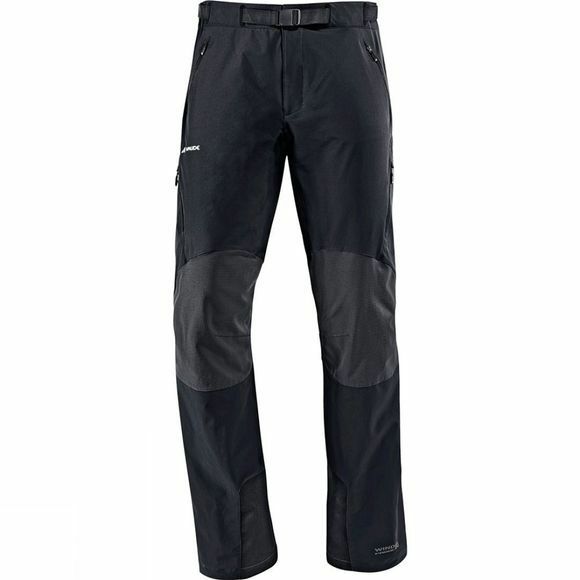 It's the unrivaled choice in mountaineering pants, with full stretch, fast-drying Schoeller Dynamic and Windproof 80 material, manufactured in accordance with the environmentally friendly, resource-conserving Bluesign standard. Durable stretch material lets you make even the wildest moves, while the long-lasting, high comfort quality ensures no-holds-barred climbing fun. With side zips for additional venting. This product is manufactured with Eco Finish and is eco-friendly, water repellent and fluorocarbon-free (PFC-free).